RecAll provides two types of meters, automatically toggling during the recording process. When the recording is off, you see the standard meters showing the signal level at the given time. If you start recording, the meters show the signal history, so you don't need to check the meters all the time, especially if the RecAll window is hidden. 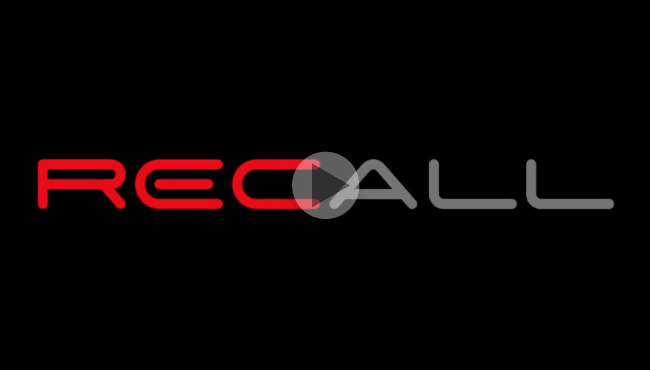 RecAll is aware of the real recording process, so it handles projects, sessions, takes, channels, and files. DAWs Require Configuration – When you are reinforcing live events, there is no extra time for auxiliary recording. Although most of the DAW's can be set up to record multichannel events, the configuration is not straightforward and the DAW is over-featured for simple recording task. RecAll is Fast and Simple – Open the application, select the setup from a template and press Record. It's that easy!